StartING AND ENDING in mineralnye vody, russia. 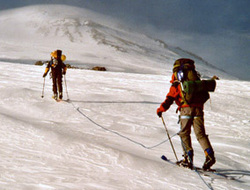 Many people consider that it is difficult and dangerous to ascent to Elbrus. Elbrus-the highest mountain in Russia, Caucasus, Europe. An ascension to Elbrus - prestigious extreme tour, it is possible for ordinary physically healthy people and it isn't necessary for you have to have special mountaineering skills. Only thing that is necessary – desire and ability to forget about the civilization benefits at least on a week. You will appear in the atmosphere of the protogenic nature, you will feel cold of glaciers and snow, morning unearthly beauty of majestic Elbrus and pass through all this despite a frost and laziness. And when you will pass through all this in an award you receive almost primitive feeling of freedom when after the next step you find out that above you - anything and anybody. Starts & ENDs in guatemala city. At its peak some 1,500 years ago, Tikal was home to an estimated 100,000 Maya & it was one of the more important urban centers of its time. This is evident in the more than 3,000 structures extending over six square miles. Around the Great Plaza is the Temple of the Giant Jaguar which reaches a height of over 170 feet. This Temple is the tomb of a high priest, buried with hundreds of offerings like vases & jade. The sanctuary for worship at the top of the structure sits on a nine-tiered pyramid. Nearby is The Temple of Masks, which has a flat form and reaches 139 feet. Between these two temples is a courtyard which covers two-and-a-half acres, and its original floor goes back to 150 years before Christ. Two palace complexes can also be found there. Tikal is also the refuge for most of the animals in Guatemala & is a place where they can be easily seen. Spider & howler monkeys are visible, as well as red coatis, raccoons, white-tailed deer, toucans, parrots, macaws, humming birds & rare falcons such as the orange breast falcon. Reptiles, in particular snakes, are also abundant. Starts in beijing, ENDs in shangai, china. TiBet Lhasa, you may have heard these two words a thousand times, but there is only one way to experience it, with you heart and soul. It takes a single step into one of monasteries to realize that you are coming to a place unlike any other on Earth. Have a visit to the spiritual center of Tibet, the Jokhang Temple, one of the most famous holy destinations in Tibet, also recognized as a UNESCO world heritage site. Afterwards visit Norbulingkha,the summer palace of the Dalai Lama. Starts in kilimanjaro, ends in dar es salaam, tanzania. in Serengeti can be found the largest concentration of plains animals - 4 million and 500 species of birds. You can hope to see predators chasing their prey and enjoying their kill, and the scenery is spectacular. Olduvai Gorge , the site of archeological findings, where traces of pre- historic man dating back to 3.5 million years ago have been discovered. and zanziBar for sure ; What makes Zanzibar different to other tropical island destinations is the eclectic mix of sun, sea, sand and spice. 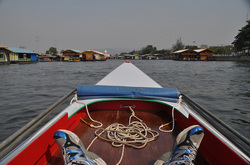 Starts in bangkok, ENDs in krabi, thailand. ...As we arrive back in Ayuthaya at approximately 4.30pm, we must bid you farewell and hope you have discovered a few secrets of our treasured city. (Kayaking: 3 hours, cruising: 1 hour). we will have the opportunity sail with katamaran to swim with sharks and snorkel in the barrier reef and will visit Caye Calker where a small limestone coral island off the coast of Belize in the Caribbean Sea measuring about 5 miles (8.0 km) (north to south) by less than 1 mile (1.6 km) (east to west). The town on the island is known by the name Caye Caulker Village. Some have said the island's name is derived from the practice of caulking or sealing the seams in wooden boats to make them watertight, due to the high number of shipwrights on the island. "Caye Corker", the alternative spelling of the name used by British cartographers, has largely fallen into disuse. This was a phonetic spelling which in older English was pronounced the same. The first snorkel stop will be by Hol Chan marine reserve and then Shark Ray Alley.and have caribbean lobster BBq lunch at caye calker. Starts in chiang mai, ends in bangkok, thailand. 4x4 Land Rover to Baan Mae Ta Man. Participate in an exciting and unforgettable experience Elephant Safari through the rain forest jungle. Embark on the inflatable rafts for an adventurous journey down the rapids in the white-water and scenic Mae Taeng River. Visit the world famous Bridge over the River Kwai, part of Death Railway constructed by allied POWs. Starts in katmandu, nepal. ENDs in DELHI, INDIA. take an early morning excursion to Nagarkot (approx 2200 meters), for panoramic sunrise views of the snowy Himalayan peaks. Nagarkot is famous for fascinating unparalleled views of the Himalayan ranges including a distant pyramid of Mount Everest. take an afternoon visit Swayambhunath Stupa, one of the world’s oldest Buddhist chaityas, acclaimed to be more than 2500 years old. Also visit the Patan Durbar Square, which is one of the most historically important cities of the Kathmandu valley. Patan is known as the centre of fine arts and for the superb craftsmanship of its artisans. Patan Durbar Square has been acclaimed as one of the finest urban streetscapes in the world. StartING AND ENDING in DELHI, INDIA. 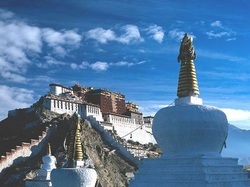 visit Mcleodganj, famous little town of Dharamshala also known as “Little Tibet”, and home to the current Dalai Lama. The external wall of the NAMGYAL monastery is surrounded by rows of prayer wheels. Within the monastery are large idols of Lord Buddha, Avalokteshwara and Padmasambhava and walls lined with Thangkas. morning witness the surreal views of the Taj Mahal by sunrise. Step inside this eternal symbol of love and appreciate the intricate designs and symmetries that rhyme as a poem written in marble. ...sailing for a distance of 430 miles in all the great gorges and the deep mountain valleys. Afternoon reach the Ghost City of Fengdu for a shore excursion, the temples here reveal ancient Chinese religion and legends with their imaged constructions and ghost statures for people lucky praying. Including dignified Great Wall in Beijing, Terracotta Army in Xi'an and dynamic Shanghai, this tour is going to be a wonderful China natural adventure experience of your life, together with its another highlights – fascinating Yangtze River Cruise tour. As your wish, makes your wishes come true...! our operators will work on it and be back you in maximum 2 to 72 hours with an exclusive vacation package with best possible rates of your wishes only...! Starts in mumbai, ENDs in DELHI, INDIA. drive deeper into Madhya Pradesh will bring you to Kanha National Park. Kanha national park was the backdrop of Rudyard Kipling’s ‘Jungle Book’. Spread over 1,945 sq. 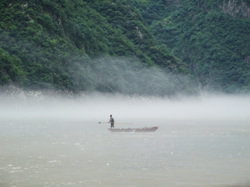 km of dense Sal forests, the national park is interspersed with extensive meadows and trees and clumps of wild bamboo. 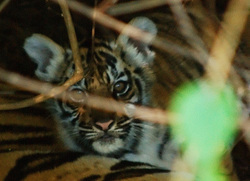 Kanha is best known as the natural habitat of the Tiger. visit the enchanting temples of Khajuraho with sculptures that draw their inspiration from the ancient art of Kama sutra. Khajuraho Temples were built by the Chandela kings between 950 AD and 1050 AD. morning drive for 2&half hours southeast from Urumqi to Turpan, a Uyghur town set in a large oasis surrounded by desert and dry mountains. Upon arrival, visit the mysterious death city - the Ruins of Jiaohe, which reveals traces of a prosperous ancient trading center and military stronghold about 1600 years ago. This tour presents you, diverse scenery and culture, mixed with modern fashions and primitive simplicity. Exploring into parts of the historical Silk Road, you can extend your vision and experience the beauty for nature and culture. 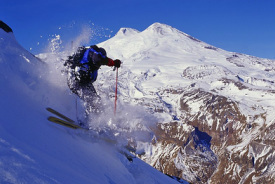 Elbrus- the highest mountain in Russia, Caucasus, Europe. The highest massif of a volcano Elbrus is located to the north of the Main Caucasian ridge. Some consider that Elbrus - an extinct volcano, and the others - sleeping volcano. The Western top of Elbrus (5642 m) and the East (5621 m) are divided by a saddle (5340 m). The most beautiful and known tops of the Caucasus: Ushba, Donguz-Orun, Nakra-Tau are around the Elbrus. An ascension to Elbrus - prestigious extreme tour, it is possible for ordinary physically healthy people who have skills of alpinism. Professional guides, proper equipment and the optimized program of acclimatization make this tour successful and save. StartING AND ENDING in rovaniemi, finland. participate to an unforgettable excursion, combining 2,5 days on snowmobiles and 2,5 days with huskies. You will first drive more than 200 KM on snowmobiles from the Arctic Circle in Rovaniemi to the village of Posio, in Eastern Lapland, via the magnificient boreal forest. Once in Posio, you will switch your snowmobiles for a sleigh pulled by husky dogs. After the instructions given by the musher, you will leave for a 2,5 days breath-taking journey and about 100 KM through the frozen forest, including 2 nights in a trapper’s cabin. Starting and ending in GEORGE TOWN, GUYANA. coastal country with four major rivers, Guyana's name means "land of many waters." This English-speaking South American country has a unique Caribbean flavor displayed in the cuisine, art and language of the local people. Guyana travel offers an untouched paradise, boasting some of the most extensive contiguous rainforest in the world. Starting and ending in quito, ecuador. A true Amazon adventure. This kayak expedition takes you into one of the most important and biodiverse ecosystems on earth. Paddle in expedition kayaks and camp for two nights, and enjoy the Shiripuno jungle lodge in indigenous Huaorani territory in the vast Amazon basin. Starting and ending in nairobi, kenya. Masai Mara being the stomping ground of the Great Migration, a massive accumulation of 1.5 million wildebeest, 200,000 zebras and 350,000 gazelles stretching their legs over 1,200 miles in an annual race to find enough water and green grass for their survival. Starting and ending in San Jose, Costa Rica. National Geographic calls Corcovado "the most biologically intense place on Earth" - surely a destination to put on your "don't miss" list! Starts in Bogota, Colombia. Ends in Bucaramanga, Colombia. Explore Colombia by mountain bike during this Colombia trip! This 6-day journey coasts through multiple ecosystems from the high Andes to the lowland tropics. Discover beautiful river valleys and historic ruins through Colombia's back roads. Snorkel with blue parrot fish, neon blowfish, six foot eagle rays, harmless nurse sharks, and study delicate purple plume coral, brain coral and sea fans. You will learn the finer points of sea kayaking and windsurfing, or maybe just spend your time relaxing in a hammock shaded by stately palm trees. © 2012 vacationsxtreme.com. All Rights Reserved.